Atlanta is home to several inspiring placed-based models of community revitalization – from the transformative work in East Lake to the more recent efforts underway in the city’s Westside neighborhoods of Vine City, English Avenue, Ashview Heights and the AUC. But what about suburban neighborhoods in decline? The Brookings Institution’s “Suburbanization of Poverty” notes that from 2000-2015, poverty in metropolitan Atlanta suburbs increased 126 percent. In fact, 88 percent of the region’s poor now live in Atlanta’s suburbs. Thanks in part to social impact investments from the Community Foundation for Greater Atlanta’s GoATL Fund, a suburban placed-based pilot effort is underway in South DeKalb County, Georgia. For many urban communities, decades of disinvestment, the foreclosure crisis, and resurgent gentrification have compounded issues of homeownership, wealth creation and equity. The very successful East Lake model championed by Purpose Built Communities has changed the financial trajectory of thousands of its residents. A very similar approach is developing right before our eyes in Atlanta’s Westside neighborhoods with Westside Future Fund at the helm. In fact, Purpose Built Communities is now replicating its model in 18 locations – including Grove Park – around the United States. These in-town community development and revitalization efforts are critical to scores of families and small businesses. 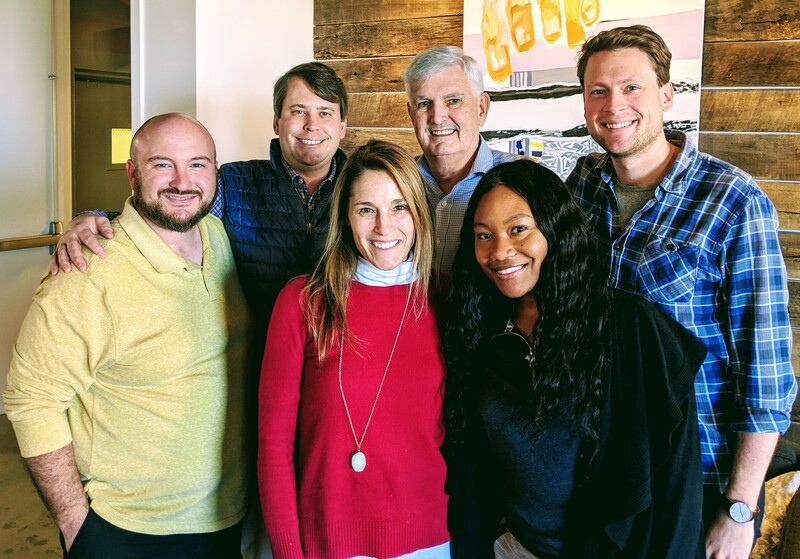 Building upon the lessons learned by these “Community Quarterbacks,” Atlanta Neighborhood Development Partnership, Inc. (ANDP) has kicked off its three-year initiative in South DeKalb County. Home South DeKalb is a three-year initiative that aims to lift homeownership rates, restore family wealth, increase neighborhood stability, encourage community engagement and participation, and improve resident health and wellness outcomes in South DeKalb. In doing so, ANDP will leverage two of the most important community development tenants in South DeKalb – collaboration and investment. Through the initiative, ANDP will invest $20 million of its existing and new capital to improve areas hardest hit by the foreclosure crisis, especially those neighborhoods impacted by the lingering effects of negative equity – while seeking to encourage broader investment in the region by other community development stakeholders. A critical component of ANDP’s Home South DeKalb initiative is the innovative partnership with DeKalb County Government. ANDP and DeKalb County are aligning resources to make the most positive community and neighborhood impact. Specifically, the initiative will coordinate with DeKalb County to ensure that county programs and services are leveraged to improve resident quality of life and neighborhood stability. 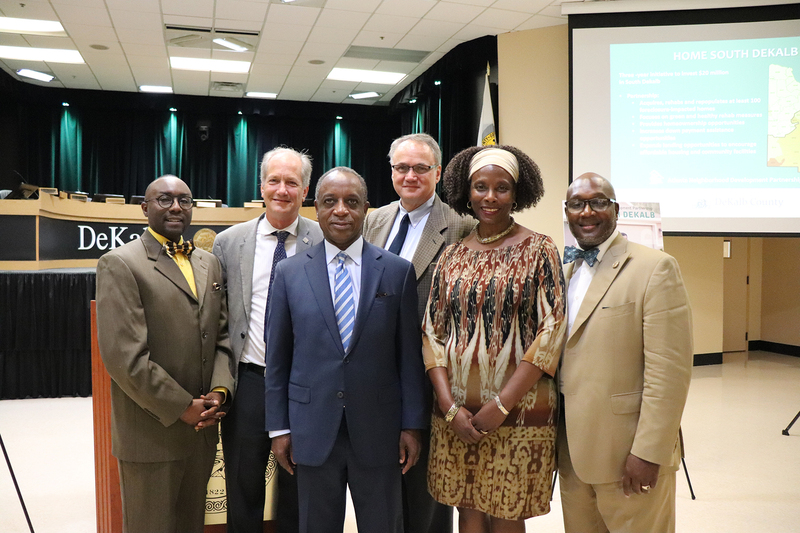 “The Home South DeKalb initiative complements the county’s renewed commitment to eradicating blight, improving affordable housing opportunities and enhancing quality life for all DeKalb County residents,” said DeKalb County CEO Michael Thurmond at the launch of the initiative in July 2018. Beyond providing affordable housing, ANDP is working with a wide array of stakeholders to improve health, education, and employment outcomes in South DeKalb. We are partnering with the Atlanta Regional Collaborative for Health Improvement, for instance, on the DeKalb Youth Prosperity Initiative – a four-year initiative launched in 2017 that is bringing together various stakeholders from across the health, housing, education, and community engagement sectors to target school clusters from across DeKalb County and support vulnerable children. 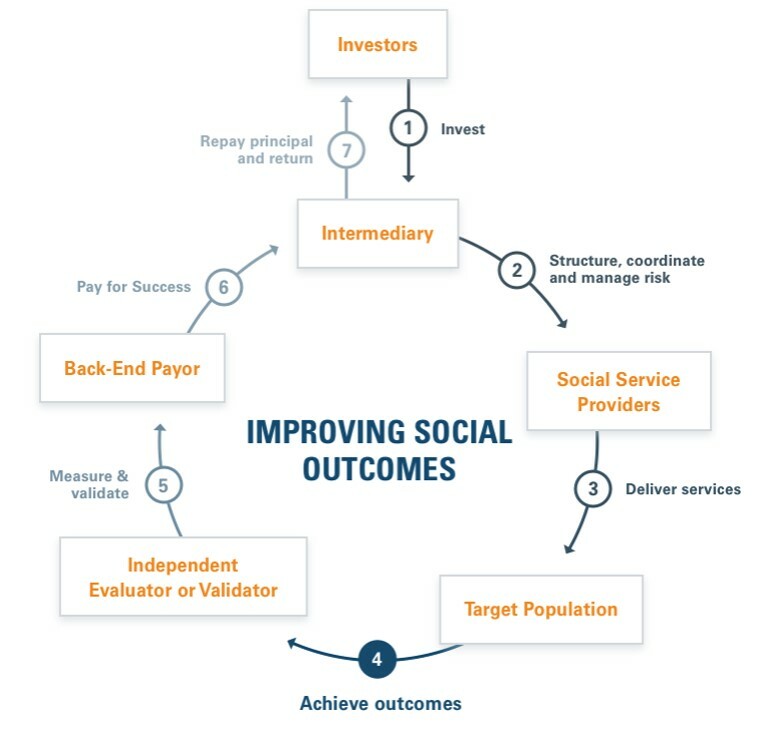 Stabilizing communities and improving the resilience, equity of its residents in suburban communities will require increased investment in innovative and collaborative models. Support from GoATL Fund for our Home South DeKalb initiative – and the growth of social impact investing in general – is perfectly timed and mission-aligned. Ashani C. O’Mard is the Senior Director of Capital Development at ANDP, of which the mission is to promote, create and preserve mixed-income communities through direct development, lending, policy research and advocacy that result in the equitable distribution of affordable housing throughout the metropolitan Atlanta region. ANDP was created in 1991 as a result of the merger of the Metropolitan Atlanta Chamber of Commerce’s Housing Resource Center and the Atlanta Economic Development Corporation’s Neighborhood Development Department. The impetus for ANDP’s creation was to address the diminishing supply of affordable housing in the Metropolitan Atlanta region as well as to help reclaim declining neighborhoods in its core. Throughout its history, ANDP has supported the creation of more than 11,000 units of housing for people of low-to-moderate incomes. Take Risk and Get Paid Handsomely: One Entrepreneur’s Challenge to Start Ups... Funding U What If We Only Paid for Success?